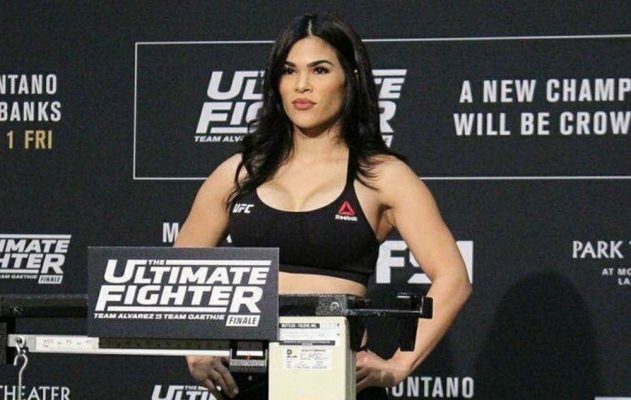 Rachael Ostovich's husband Arnold Berdon has been released on $75,000 bail and charged with second-degree felony assault after he allegedly attacked his wife this past weekend in Hawaii. Rachael Ostovich’s husband Arnold Berdon has been released on $75,000 bail and charged with second-degree felony assault after he allegedly attacked his wife this past weekend in Hawaii. Representatives from the Honolulu Police department confirmed Berdon had been released from custody on Friday after posting bail. Berdon was initially arrested on a second-degree attempted murder charge but he was ultimately charged with second-degree assault, which is a Class B felony in Hawaii. Berdon faces up to five years in prison and up to a $10,000 fine. Berdon was arrested after allegedly assaulting his wife this past weekend at their home in Hawaii. Ostovich suffered a broken orbital bone and other injuries as a result of the assault. Ostovich was also forced out of her upcoming fight against Paige VanZant at UFC Fight Night in Brooklyn due to the injuries she sustained. While Berdon has been released on bail, he’s still not allowed within 100-feet of his wife or daughter after Ostovich was granted a temporary restraining order against him on Monday. The restraining order stays in effect for at least six months. Ostovich hasn’t made any public statements regarding the assault but her management team at Suckerpunch Entertainment asked for privacy as the UFC women’s flyweight contender deals with the difficult situation at home. Berdon is also a professional mixed martial artist with a 7-2 record in his career.